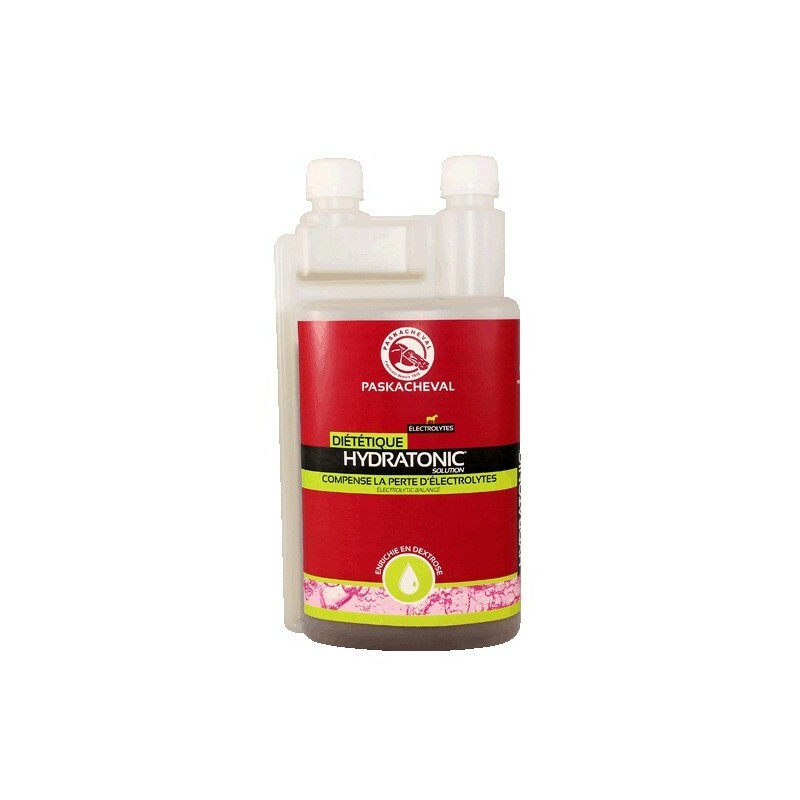 HYDRATONIC SOLUTION brings up the electrolyte level after sweat loss. Optimal absorption thanks to wisteria and citric acid. HYDRATONIC SOLUTION is rich in dextrose, it stimulates the thirst. HYDRATONIC SOLUTION contains Vitamin C with antioxidant properties to support muscular activity. 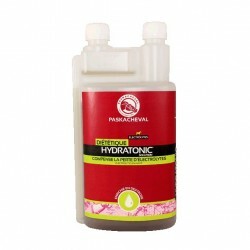 HYDRATONIC SOLUTION is recommended for all situations that may cause heavy sweating. Directions for use : 50 g per horse, twice a day.